I see you have eleven years of experience from Family Court Services (FCS) where you mediated some very challenging child custody and visitation matters and crafted more than 4,000 child custody recommendations for Family Court judges. How has that given you a different perspective when approaching a divorce matter? I approach divorce cases with the perspective that fighting over every issue no matter how minor is a waste of my client’s time and money. If possible, I believe in trying to settle matters through negotiations that allow my clients to benefit as well as save time and money towards unnecessary litigation. My experience from FCS has given me the understanding of what a court looks for in making a decision so I can then aide my clients about what matters should be litigated. My experience has provided me the ability to understand the importance of creating a parenting plan for my clients that is in the best interests of their children, which is the standard the court uses. I help them create a safe plan for their children, and I believe it is important to not waste my client’s time with a parenting plan that would be difficult for the court to order. By writing more than 4,000 reports to the court, I understand how to provide useful facts that the judge will consider versus information that will not aide a client’s matter. Most attorneys do not have knowledge of the mediation session and how FCS makes their decisions. Having mediated custody issues for more than 11 years at FCS, I understand firsthand what information is necessary for FCS to make a recommendation to the court. I help my clients learn firsthand the importance of their mediation session and how best to prepare for it. The fact that you’re a licensed marriage family therapist really sets you apart from most divorce lawyers. Explain how this affects the relationship between you and your client and perhaps, their children. Many attorneys do not want clients to show emotions because they do not understand how to deal with this or because they find it to be a waste of time. Too many attorneys yell at their clients when their clients exhibit feelings of stress. I believe this is counterproductive to the attorney-client relationship. 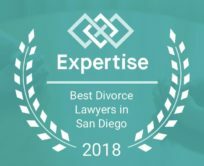 My training as a licensed marriage family therapist helps me as a San Diego divorce lawyer understand the complexity of emotions that clients are going through when they are divorcing. Their emotions range from apprehension, anger, fear, and resentment. I understand how to calm clients in times of stress. I help my clients focus on the big picture, which allows them to see their best interests moving forward. I am compassionate yet forceful when necessary. My training has allowed me to understand behaviors children go through when their parents are divorcing. I have been trained to understand the stages of child development and what behaviors are expected from each stage. This helps me formulate the most productive parenting plans for my clients. Part of your previous work experience was at Child Protective Services where you were responsible for investigating complex child abuse, neglect, and domestic violence allegations. How does this help you when approaching each client’s divorce? Child abuse, neglect, and domestic violence are issues that are present in many divorce and custody disputes. 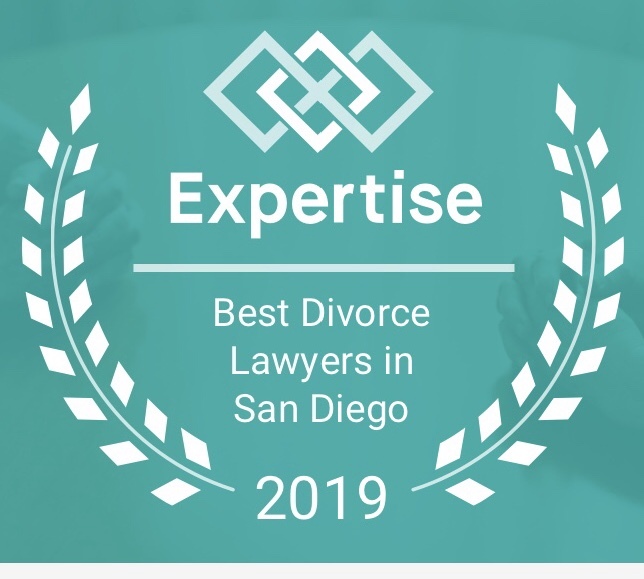 This firsthand experience I obtained from CPS allows me as a San Diego divorce lawyer to provide useful evidence to the court when child abuse, neglect, or domestic violence is an issue in my client’s matter. Most attorneys do not understand the investigation process by County social workers. Having worked at CPS, I understand what allegations a social worker would likely investigate and possible outcomes of such investigations. I am able to help aide my clients to determine the steps they should take if these allegations are present in their matter especially as it relates to their safety or the safety of their children. In your past you’ve conducted guardianship investigations for Probate Court and assessed whether or not guardianship was necessary, as well as writing guardianship reports to the Probate Court recommending or denying guardianship for relative caretakers. Can you discuss how guardianships work? When a relative believes that the biological parents are unable to care for their child due to substance abuse issues or incarceration among other reasons, they may petition the Probate court to become the legal guardian of the child. It’s a long process and detriment to the child is usually the standard that is required for a relative to become the child’s guardian. In your experience as a family law attorney have you come across situations where grandparents or other relatives were trying to obtain visitation with their grandchildren or other relatives’ children? How does that work in a divorce matter? 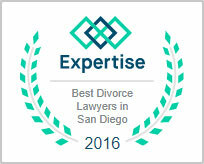 Yes, as a San Diego divorce lawyer I have come across several such situations. This situation exists in Family Court when a relative wants to spend time with a child, but not become their legal guardian during a divorce or custody dispute. Usually, one or both of the parents have not been allowing visits for some reason and these relatives have no option than to obtain court assistance. When this occurs, the relative can petition the court as a joinder to the matter and ask for a plan allowing them to spend time with the child.